If you’re on the hunt for a small-sized, loveable, family friendly dog; then you’re certainly in the right place. The Zuchon is one of the sweetest dogs on the planet, so it’s no wonder this hybrid is taking the U.S. by storm. 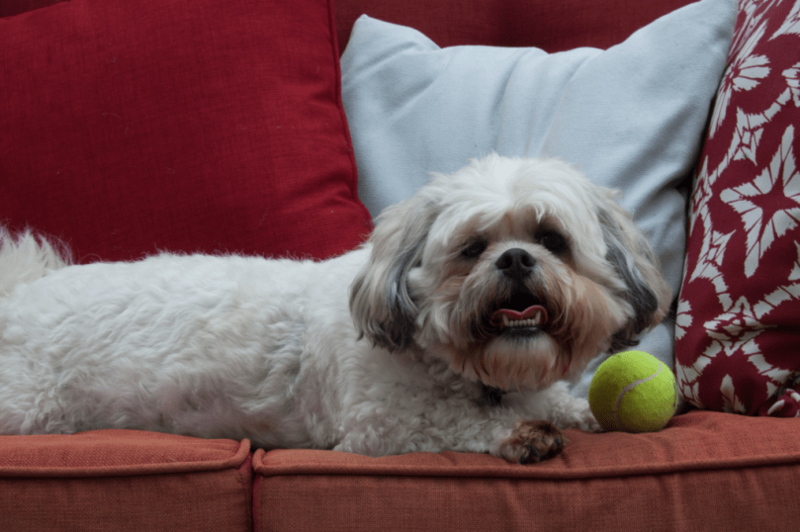 There’s nothing they love more than cuddling on the sofa with their owner or indulging in a game of fetch. 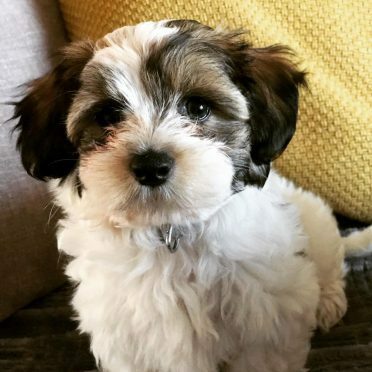 This breed is a cross between a Bichon Frise and a Shih Tzu and is also known as a Shichon or a Teddy Bear Zuchon (because they look so adorable!). They’re universally adored so we’ve dedicated an entire article to these gorgeous creatures. Let’s dive in! What Do Zuchons Look Like? Any Tips for Buying a Zuchon Puppy? Do Zuchons Suffer From Any Health Defects? How Easy Are Zuchons to Train? Does This Breed Need Many exercises? Do Zuchons Need a Lot of Grooming? What Should I Feed My Zuchon? Are You Ready to Get a Zuchon? Zuchons are intelligent animals, but not in the conventional sense. Yes, you can train them, and they love to perform tricks to please their owners. However, they’re incredibly good at reading their environment and adapting their behavior accordingly. This breed is incredibly intuitive; they have an innate ability to understand human behavior, which makes them ideal therapy dogs, and equally excellent pets for people seeking companionship. Their versatility enables them to complement almost any household, and can even live happily in an apartment. Their placid nature makes them fabulous with kids. Plus, Zuchons lack any hunting instincts, which usually means they get on well with other animals. However, because of their small size, you need to take great care when introducing them to bigger breeds. Despite their lack of aggression, they make fabulous watchdogs. They’ll usually let you know if someone’s at the front door. Rest assured, Zuchons not famous for barking excessively or without cause. So, unlike other smaller breeds of dog, you won’t have to deal with annoying yappiness. Although this breed is excellent with children, you need to spend a little time and effort teaching them how to interact with your Zuchon, especially if they’re very young. This breed isn’t robust enough to tolerate rough treatment, and can easily be mistaken for a teddy bear (hence it’s a cute nickname). Sadly, an accidental drop just a few inches off the floor can be catastrophic, especially for fragile pups. As we’ve already said, Zuchons are incredibly devoted to their owners. However, they need a lot of love and attention in return, which might not be practical if you don’t have the time. These dogs don’t cope with being left alone for long periods of time. Loneliness can make them depressed, and they can suffer from separation anxiety. So, if you plan on leaving your pup for the majority of the day, the Zuchon might not be for you. Top Tip: try and find something for them to do while you’re out. For example, a chew toy stuffed with healthy treats. Keeping your dog occupied until you return can help them combat their anxiety. 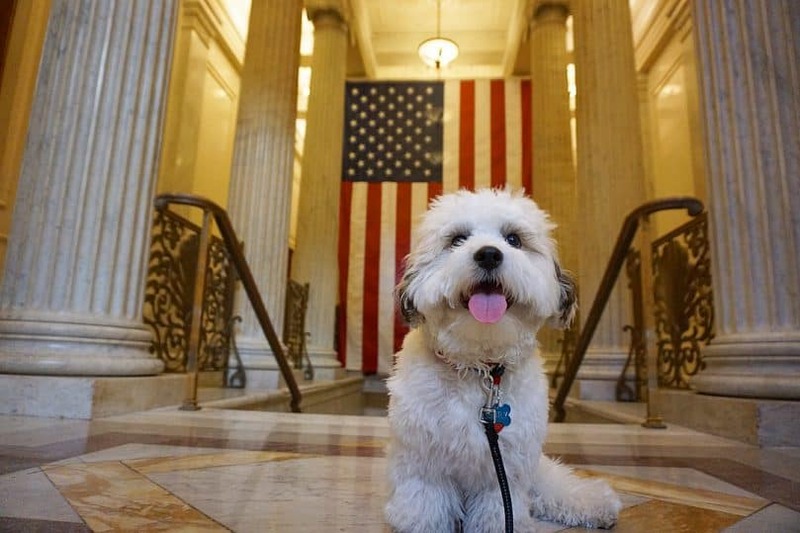 Their coats are silky soft and vary from wavy to curly, thanks to their Bichon genes their fur hardly sheds; despite their ability to grow moderately long coats if left unclipped. Like plenty of other hybrids, each pup will look slightly different. Some will look more like their Shih Tzu parent, whereas others will bear a closer resemblance to the Bichon. However, Zuchons are always small in stature and vary between 10 to 12 inches (24 to 30 cm) in height, and 9 to 13 lbs (4 to 6 kg) in weight. Generally, this breed boasts a sizeable domed skull, a cute black nose, sweet flapping ears, and beautiful big eyes that range from hazel to darker brown. Check out this short video and see for yourself how cute they look! As with any designer dog, buyers need to choose their puppy very carefully. All pedigree lines inherit health problems that can be passed on, even to their hybrid offspring. In addition to this, you should spend time with both the parents and the puppies. You’ll want to observe their behavior, activity levels, and health before making any final decisions. Top Tip: always inspect the length of the muzzle when selecting a Zuchon puppy. Those with very short noses are likely to experience breathing disorders (usually inherited by the Shih Tzu parent). The muzzle shouldn’t be any less than one-third of the length of the crown. Additionally, the nostrils need to be open; you can identify this even in very young pups. On the whole, they’re healthy dogs and enjoy an average lifespan anywhere between 12 and 15 years. Atopic Dermatitis: This is a skin disorder that results in itchiness and inflammation. Typically this occurs around their feet and ears. Symptoms of this ailment can arise from four months, so be sure to look for early signs. Brachycephalic Airway Syndrome: This describes a mixture of abnormalities that dogs with short noses typically suffer with. 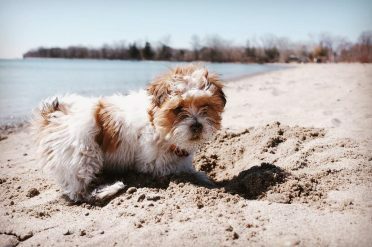 It can make it difficult for Zuchons to breath, especially ones that inherit similar features to their Shih Tzu parent. Surgery is sometimes necessary to rectify this issue. Cushing’s Disease: For those of you who don’t know, this refers to a problem caused by excess cortisol levels that occur as a result of overstimulated adrenal glands. Look out for the following symptoms: loss of hair, weight gain, and thinning of the skin. Immune-Mediated Hemolytic Anemia: This is an autoimmune disease which results in severe anemia and low levels of oxygen in the blood. Unfortunately, the immune system destroys valuable red blood cells which trigger breathlessness and weakness. Keratoconjunctivitis Sicca: AKA Dry Eye. This is a condition that inhibits your pets ability to produce tears. This can not only irritate the eye, but it can also leave lasting damage. Occasionally, other problems such as skin allergies accompany Dry Eye. Patellar Luxation: This ailment can cause lameness as a result of a misaligned kneecap. Although this sounds dramatic, this affliction usually isn’t painful. Surgery may be necessary to prevent any long-term damage. As we’ve already said, this breed sees itself more as a small human than a dog. It’s not uncommon for Zuchons to mimic the behavior of their owners, which makes them slightly easier to train. Like any dog, we thoroughly recommend laying good foundations while they’re still young. This is the best way to ensure obedient behavior as your pet reaches maturity. When it comes to socializing your Zuchon, you shouldn’t have too much trouble. This hybrid’s naturally sociable, so ensure it has plenty of opportunities to meet with other dogs and be petted by strangers. Go to the local park and socialize with passers-by! Zuchons are naturally active dogs. They’re always leaping around, and love to play throwing and catching games with their owner. However, despite their high energy levels, they don’t need a great deal of exercise. Obviously, they’ll need regular walks, but only for 30 minutes per day to maintain their health; you should aim to give your Zuchon at least six miles worth of walking a week. We thoroughly suggest buying a retractable leash, especially if you live in an urban area. As pups, Zuchons aren’t very steady on their feet, and may accidentally wander into the road. 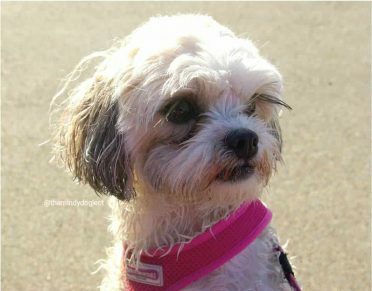 A retractable lead will give you more control and help keep your puppy safe. Also, when you head for open areas, Zuchons love a good run around, and a retractable leash will allow them more freedom to roam and use all their pent-up energy. Their silky coat can quickly tangle if neglected. So, we suggest brushing your Zuchon at least once every two days. Their hair also grows in different angles around their eyes so, you’ll need to wipe away any gunk that gets trapped with a damp clean rag. Otherwise, you increase the likelihood of your dog contracting an eye infection. 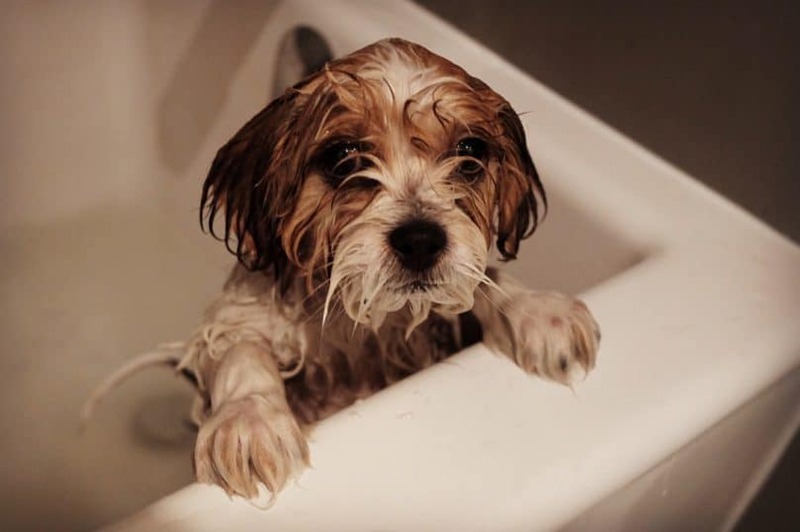 We also recommend giving your Zuchon a monthly bath. This is just the ticket for keeping their coat clean and soft. Most importantly, you should aim to cut their fur at least once every couple of months to ensure it remains at a controllable length. This will decrease the likelihood of ugly mats forming in the first place. You should also be aware that some Zuchons, (particularly those with shorter noses), are more likely to contract dental disease, leading to both tooth decay and bad breath. You’ll need to commit to brushing their teeth every day. You can buy dog-friendly toothbrushes and toothpaste at your local pet store. Similarly, you’ll need to clip your dog’s nails reasonably regularly. Although most Zuchons find this a stressful experience, it has to be done. Try to include this as part of their regular grooming routine to get them used to it. You need to feed them high quality, dry kibble, specially designed for small and active dogs. You should give them 1.5 cups worth of this a day. This will cost you anywhere between $25-$30 per month. Top Tip: Avoid wet and canned foods, as this can encourage tooth decay, tooth loss, gum disease and bad breath in this breed! Americans began breeding Zuchons in the 1990s. Like a lot of other crossbreeds, Zuchons aren’t considered an official breed of dog. However, there’s a good chance this will change because of their overwhelming popularity. Organizations such as The American Canine Hybrid Club recognize their breeding status. All in all, Zuchons are perfect if you’re looking for a dog for your kids to play with. They’re incredibly placid and easily adapt their behavior to suit your lifestyle. Really and truly, there’s nothing to dislike about these adorable bundles of fur! Thanks for reading this blog post, we hope you enjoyed it. Leave us a comment if you’re thinking of buying a Zuchon, or already own one; we love hearing from our readers!